A successful start to the season for Michael Ammermüller in the Porsche Mobil 1 Supercup: After posting pole position as the fastest in qualifying on Saturday, the German won Sunday’s race witnessed by packed grandstands at the Circuit de Catalunya. At the Motorsport Arena Oschersleben, Michael Ammermüller experienced the perfect start to the season at the Porsche Carrera Cup Germany. After winning the season-opening round on Saturday, the BWT Lechner Racing driver from Germany followed up with another win on Sunday at the wheel of his Porsche 911 GT3 Cup. 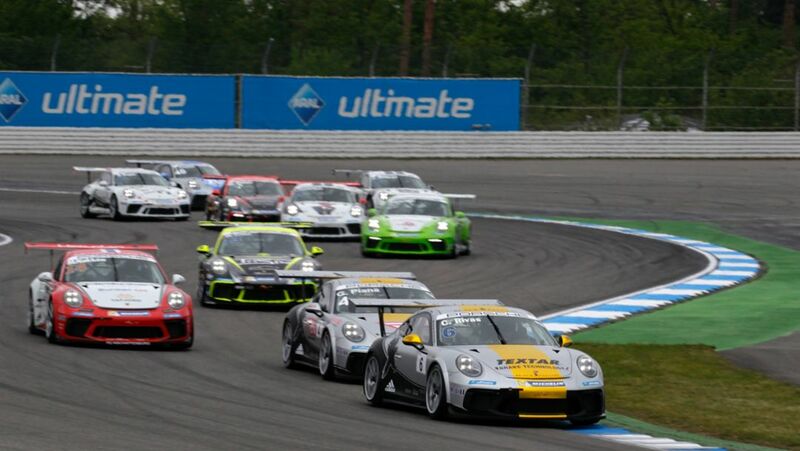 The Porsche Carrera Cup Deutschland is booming – even in its 29th season: 28 drivers from ten teams take up the fight for the 2018 crown of Germany’s fastest one-make cup series run as support to the ADAC GT Masters as well as the AvD Oldtimer Grand Prix for the first time. The two Porsche Juniors Thomas Preining and Julien Andlauer have selected their teams for the upcoming Porsche Mobil 1 Supercup season. Julia Görges will represent the sports car manufacturer as a national Brand Ambassador as of 1 January 2018.